The story of Hiccup Horrendous Haddock III rise to fame, through his dragon-training exploits, told in Hiccup's own words by David Tennant. This was the best book ever I loved every Part of and I just couldn’t stop reading. 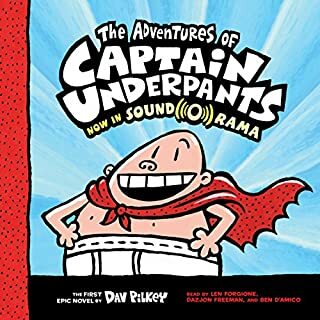 My family and I loved this audio book. David Tennant does a spectacular job of bringing the book to life with many different voices, Toothless is my favourite. A warning though to fans of the movie: The movie is not the same as the original story. Some of the characters are different or the same in name only and the story is not the same. However if you can let that go it is highly enjoyable and shares a lot of the same spirit and humour. Kids and adults will enjoy it equally. I bought this book to listen to in the car on a long trip. Both the kids and myself enjoyed it, well I may have enjoyed it more than the kids. 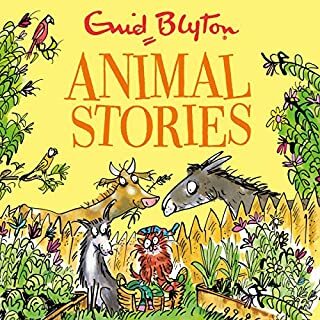 The story is quite different to the movies, it is helpful to know that and to explain it to the kids to avoid confusion. Aside from that it was fun, David Tennant read it brilliantly and it kept us all entertained on a long road trip. I was quite surprised to find that the how to train your dragon books were so completely different from the movies and tv series, it worked out great though because you get two adventures into the world of dragons and other than their names nothing is the same. 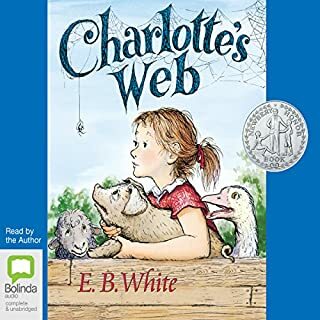 our whole family loved this book. the narration is gripping! brilliant accents and enthusiasm from David Tennant. the story is heart warming and we loved how using brains before Braun makes Hiccup the hero. We have listened to the whole series. 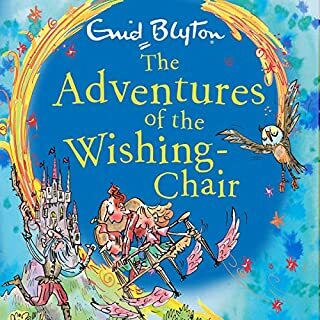 A delightful fantasy aimed at children but a pleasure for even an aged adult such as myself. David Tennant's reading is spot on and his singing an added joy! Great story. 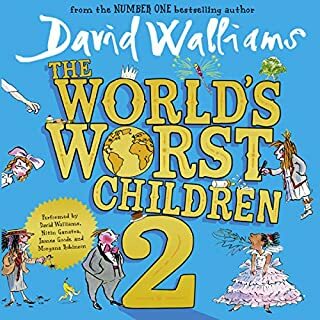 Perfect for kids on long journeys. Narrator was awesome. The story was so different from the movie (which is also good but almost unrecognisable here), but really entertaining with a great moral. Having loved the movies by the same title I was a bit surprised and a little disappointed how different the two are. But David Tennant's amazing performance made up for my reservations. If I hadn't see the movie first I probably would have enjoyed it a bit more, I will try others in the series. A different but great story - not 5 stars but close. I recommend it for others I had so much fun listening to it with my mum. It’s very different to the movie tho. But overall I think it was a great book and recommend it for others. I bought this audio for my 4th grader. He received the book set of the series at Christmas and still hadn't read any of the books. Some of his friends wanted to borrow his books but I told him that he had to read them first. We compromised with my purchasing the audio version. It took a few times of turning the audio on in the car while we were driving before he would listen to the whole story. 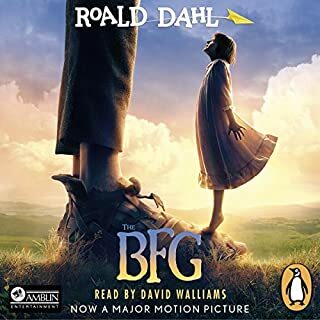 He enjoyed the narrator, David Tenant so much that he listened to the whole audio until he was finished at midnight on the day he finally committed to listening. He begged me for the next book and then my 2 teenage daughters wanted to know what all of the fuss was about. 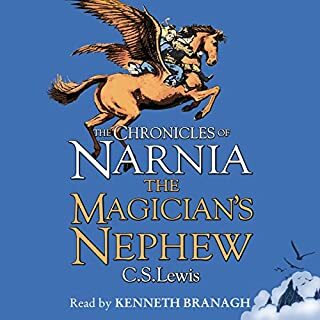 My daughters were laughing out loud while listening to the narrator and enjoyed it so much that they want all of the books in the series on audio. 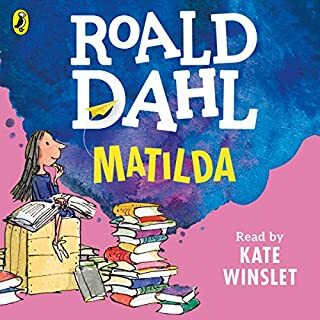 Before my daughters started listening to the audio they said that they couldn't possibly enjoy a story they weren't reading from a book they had in their hand. David Tenant proved them wrong. 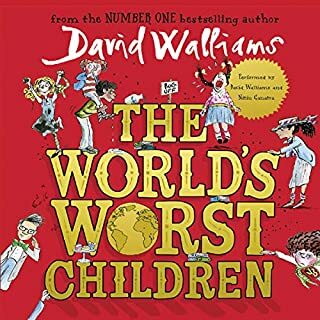 We didn't know this book (or indeed the series) and hadn't heard a David Tennant-narrated book before, but the whole family--daughter, 7, son, 9, and parents--gives this two thumbs up. We loved it. We chose it for a long car journey, which as it turned out, was made even longer by a holiday traffic jam, and we really got lucky. 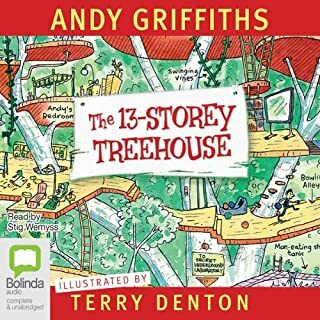 The story is funny and involving and the narration is terrific, with great variety in the characterisations and beautiful delivery of the humour. 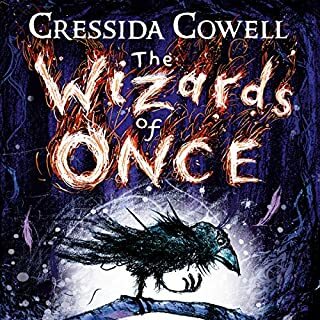 I'm about to buy another in the series to store away for our next car trip, and the kids have since acquired two of Cressida Cowell's books. Highly recommended. I would normally never read or listen to a book that is abridged, but David Tennant does too good a job not to listen to this version. Tennant does such a wide veriety of voices that is it never confusing on who is talking, as it is in some books. Over all, a great story with a great reader. I enjoyed the story and the reading and the voices. I listened with my 3 year old, and we both liked it. However, it was difficult to follow because the volume levels were so widely varynig. Very loud at the intense moments, and so very quiet at the softer. I kept having to turn the volume up and down according to the situation. Frustrating. Regardless, good story, very different from the movie. Fun voices by narrator. What made the experience of listening to How to Train Your Dragon the most enjoyable? What does David Tennant bring to the story that you wouldn’t experience if you just read the book? You couldn't have found a more perfect narrator for this series. I wish it wasn't abridged, but the story still holds up. My boys really enjoyed it (as did my husband and I). It's a fun (although familiar) story of a normal boy who overcomes the odds using his brains. But it contains Vikings and that alone gets it an additional star. 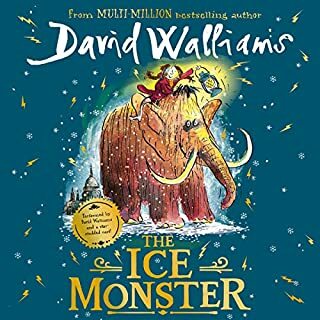 My kids loved listening to this, especially the inspired narration of David Tennant. The story was good, but I was a little disappointed by the reading. I also didn't notice that this one was abridged until after I got it. 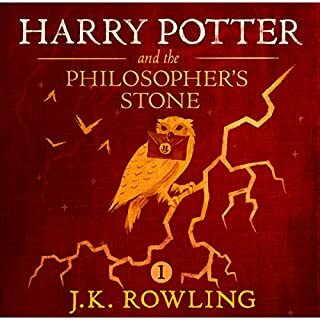 I chose this version over the other one (which is unabridged) because of the narrator (I'm a Doctor Who fan). You get 1 hour less content on this abridged version, and you have to deal with a very dynamic range of the narrator. Normally, a dynamic range in reading is good, but the soft parts are too soft (couldn't hear some words while riding in the car), and the loud parts were speaker rattling since we had turned it up to hear the softer parts. Overall, the first 30-40 minutes of the book are very hard to understand. I enjoyed the overall performance, but I feel like this could have been edited a little better to make it a better listen. As for the story, I actually liked the movie's version better than this one. My kids ask to listen to this occasionally, but they don't get into it as much since it is so hard to listen to in the car. The difference in the story line doesn't really matter to them, but it is very forgettable and not something they beg to listen to. Dragons are tricky creatures and it doesn’t make life any easier for anyone involved that they have to cohabit with humans who are ever so fickle themselves. This book is a great insight into living with dragons and I loved listening to every second of it. The combination of David Tennant and Hiccup ensures an enthralling few hours in Burke. David Tennant does a stellar job bringing the story to life. 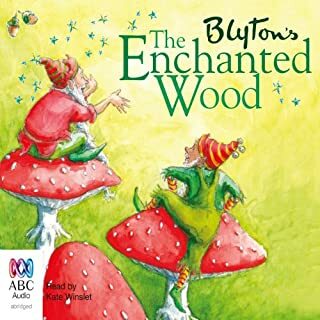 Even if you are not a kid anymore, Cressida Cowell's tales of Hiccup are so much fun to listen to that it is seriously addictive. Shame though that this is an abridged version. The humour, the names of the characters, the David v. Goliath theme, the triumph of the underdog. Which character – as performed by David Tennant – was your favourite? All the characters were great. We loved the Sean Connery-esque Stoic the Vast, we loved Gobba the Belch and of course Toothless. Laugh mostly although I was a bit teary about Toothless at the end. My three kids (11, 9 and 7 - girls and boys) loved it as did my husband and I. Brilliant. I cannot recommend these books highly enough. They have made long car journeys with young children fly by as we were all immersed into the viking world of Hiccup and his friends. The narration by David Tennant is remarkable. His voices bring the characters to life with some gorgeous regional accents (the Bog Burglers especially). We bring the ipod in from the car to finish the stories off in the kitchen they are so good. How to train your dragon is one of the best books I know, discuting and funny for girls boys and parents. There is a whole series in which I am indulging. I have got book 1, 2, 3, 4, and 5 and I want to read more, so do my parents. The abridged books are just as good and so are the ones supposed for 5-7 year olds cos my 4 year old sister loves them, my parents love them and I love them and I'm 11. 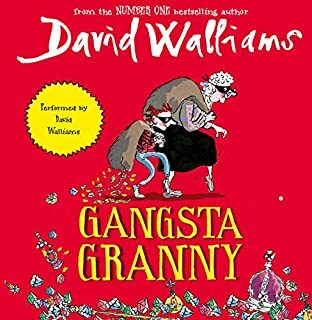 David Tennant is a fabulous narrater and I don't know anyone better, how does he get those voices, scary and funny and his Scottish accent is perfect for the book really fits. The whole family enjoyed it thoroughly. David Tenant's voice is fantastic. This book is completely different from the movies. characters and plot are unrecognisable. It is still a fun story and well performed too. 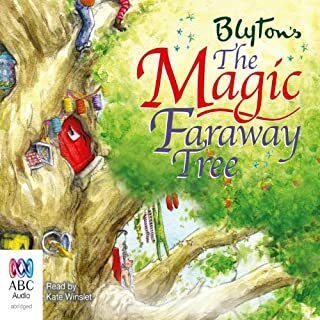 The whole family loved listening to this book, adults just as much as my 2 boys 5&7. Fast paced to keep interest. If you could sum up How to Train Your Dragon in three words, what would they be? Have you listened to any of David Tennant’s other performances? How does this one compare? This one was every bit as good as all the other Hiccup Horrendous Haddock books he has narrated. 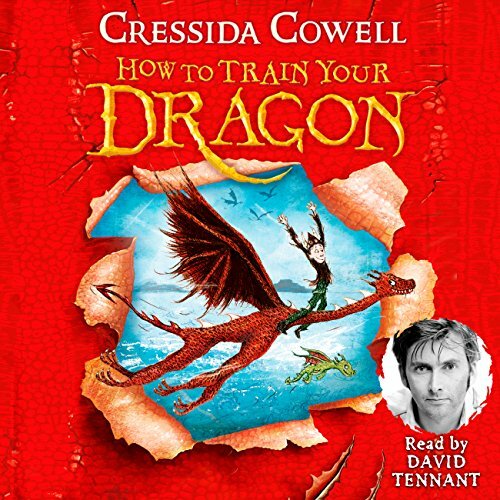 This is the first of the How to Train Your Dragon series, all are narrated by David Tennant. 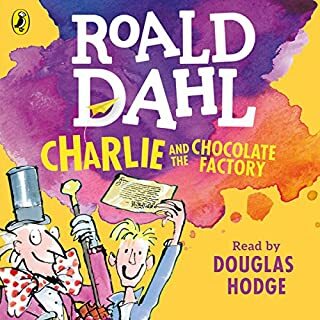 This is very different to the film, but is an excellent book, very funny, my two boys, 5 & 7 years old have listened to it dozens of times. 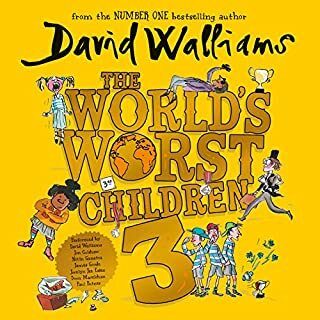 I purchased this audiobook in advance of our Summer holiday thinking it may keep the kids entertained on our long car journeys. I have listened to it in advance to make sure it is suitable. I am thinking that perhaps my 4 year old is a touch too young for it. Nevertheless, it was great fun to listen to and I found myself giggling alot! David Tennant is a fab narrator and captures the characters really well. Highly recommended!